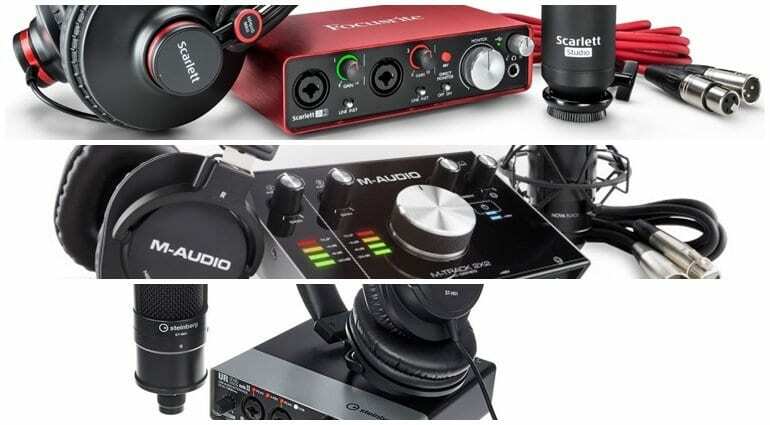 Top 5 starter recording bundles: Which one’s right for you? Greetings, gearheads! 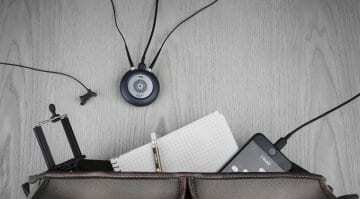 Today, we’re going to dissect the subject of entry-level recording bundles. 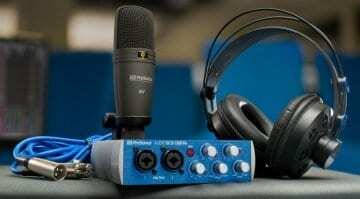 Not long ago, good quality condenser microphones, headphones, audio interfaces, and recording software – the four essentials for any small, computer-based recording studio – used to cost a pretty penny. But technology has taken us as far as to have mics, headphones, interfaces, and DAWs of absolutely good quality packed into bundles so affordable and convenient, they could literally be sold at supermarkets. Nowdays, the investment for getting into computer recording is very reasonable, and the products are decent enough to last you a long while before you grow out of them. At a glance, all of the five popular bundles we’ll discuss offer the same essentials, and the differences between the hardware products are mostly cosmetic. While you can only expect so much out of starter gear, you are guaranteed to end up pleasantly surprised by the clear and musical recordings you can obtain with these tools and a little bit of knowledge. More importantly, you won’t feel limited by the quality or flexibility of these products until you need to handle intermediate and advanced tasks, such as miking up and recording a drum kit! You truly don’t have to worry about the quality of entry-level products – they aren’t fantastic, but they are more than good enough to get you started. That’s why we aren’t discussing each piece of gear individually. The baseline level of quality is the same, and the differences are marginal. All of this greatly simplifies choosing between the five bundles. 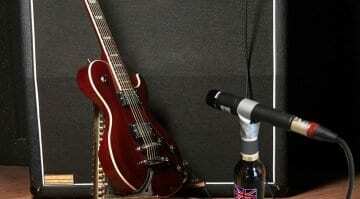 No matter which one ends up in your hands, the doorway to recording and mixing is wide open for you. But we still need to figure out which ones will provide the most value for you, right? This is where we start looking into the bundled software. When it comes to this, the 5 packs here are not equal in the slightest! Depending on your needs, some of them are a clearly better choice than others. Thus, we have provided our guidance and opinion on the subject for each of the five starter bundles covered. We hope this information will serve you well for making the right choice where to spend your money! A hearty bundle of content: the Focusrite Creative Pack, the Red Plug-in Suite, the Softube Time and Tone bundle, the Novation Bass Station, and 2GB of Loopmasters samples. All of these have aged somewhat, but still hold-up well and are enough to get you started with basic effects, compression, reverb, and other essentials. Also, the Bass Station synth sounds 99% like the real thing and is very intuitive. Pro Tools First is limited to a maximum of 3 saved projects with up to 16 audio, 16 midi, and 16 auxiliary tracks each. 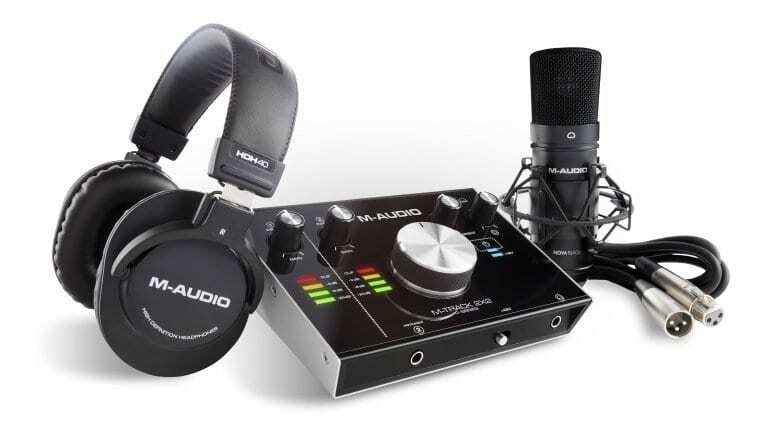 Up to 4 tracks can be recorded simultaneously. Unless you make three-song records or erase projects, it’s going to feel cramped. Ableton Live Lite is limited to 8 tracks, but otherwise, it does a good job of demonstrating the popular and peculiar DAW. 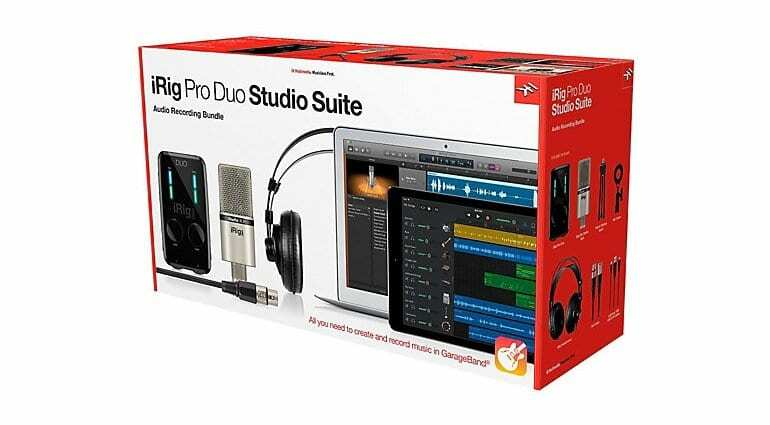 Beyond doubt, the best thing about PreSonus’ bundle is the fully-furnished software department. Studio One 3 Artist is a fully-featured, modern DAW with unlimited tracks (audio, MIDI, VST, buses, and FX channels), 25 effects & virtual instruments. It’s paired with the Studio Magic Plug-in Suite, which includes complete or starter versions of products by renowned developers SPL, Lexicon, Eventide, Brainworx, and Arturia. 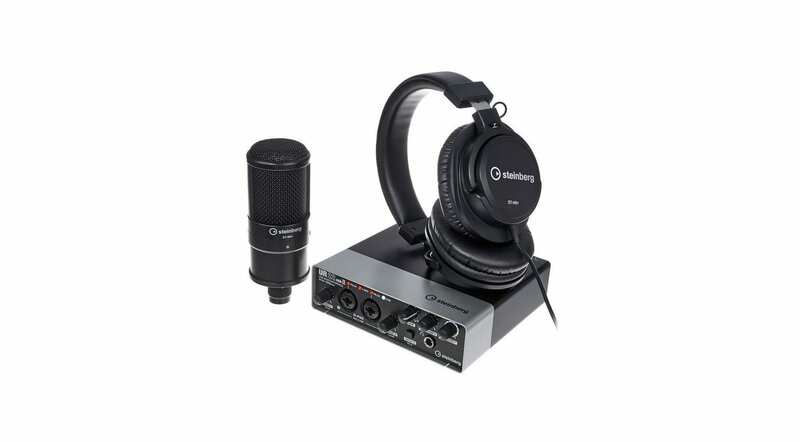 Save for a pair of studio monitors, this bundle gives you everything needed to make competent recordings without creative limitations. If you don’t like Studio One for some reason, this bundle won’t be of so much value to you. 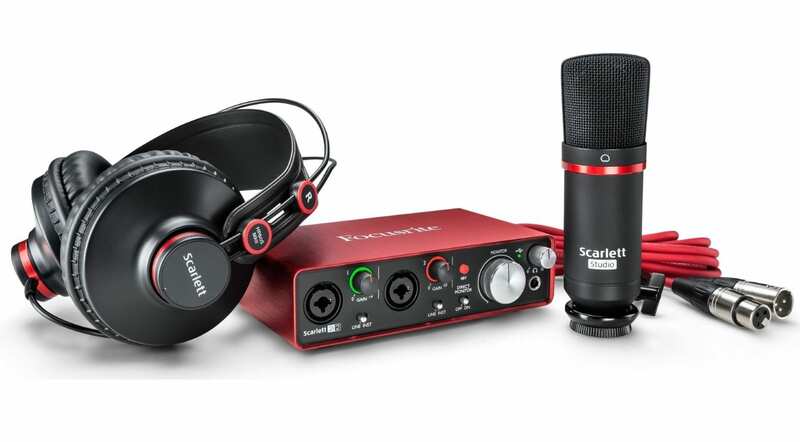 And then again, at $199, you get to darn near steal some perfectly good hardware and plug-ins! The UR22 interface also works with the iPad, if you happen to have the camera connection kit. Cubase AI is quite functional, as it offers up to 32 audio tracks, up to 48 MIDI tracks, up to 16 virtual instrument tracks, and a complete set of 28 studio effects. While the limitations are there, they won’t stop you from accomplishing reasonably ambitious, multi-tracked projects until you grow to need more available tracks. Very good value, unless you dislike Cubase. Steinberg doesn’t offer any third-party plug-ins with the bundle. When you start desiring more effects and instruments beyond what’s already available, you’ll have to make additional investments. Beyond doubt, it’s the addition of the AIR Creative FX Collection. 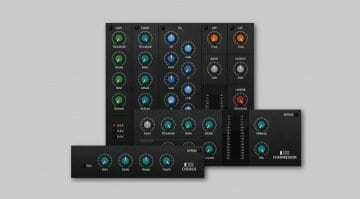 This is a set of 20 solid, bread-and-butter effects processors that will work for any genre of music. The other AIR instruments included are perfectly capable, too. These are AIR Strike (a drum simulator like EZDrummer), AIR Xpand! 2 (a rompler full of usable and not-so-usable sounds), and AIR Mini Grand (a decent virtual piano). Furthermore, AIR Technology offers a very affordable upgrade path from these instruments. For a very reasonable investment, you can have their complete product collection, which rivals NI Komplete in terms of content, but isn’t quite as cutting-edge. Cubase LE is limited to limited to 24 MIDI, 8 instrument, 16 audio tracks, and 8 recording tracks simultaneously. That’s enough to get you started, but you’ll eventually need an upgrade. IK Multimedia is doing something different with their bundle. It’s pricier than the rest and it doesn’t include a DAW. However, the gear included is more of the mid-range type, and the generous share of software gives you more musical possibilities than any of the other bundles. The iRig Pro Duo works right off the bat with Android and iOS smartphones and tablets, providing ample opportunity for mobile recordings and enjoying the wealth of music apps available on mobile platforms. It’s a good quality, modern interface for studio use as well. You will have to invest in recording software – unless you are already rocking a DAW on your computer, or are content with smartphone and tablet audio workstations like GarageBand or FL Studio Mobile. For anyone just starting out with recording, we think the PreSonus bundle presents the best value. At $199, it’s very affordable. And, perfectly nice hardware aside, it gives you the keys to the whole castle by packing a fully-featured, modern DAW that could carry some of you throughout their entire career. We dislike the limitations in entry-level recording software and think of them as the main “pain point” in the typical starter recording package. PreSonus pushed their power and generously chose to get rid of them – almost entirely. At $199. No one else is doing that at the moment. Not that the rest of the bundles can’t take you quite far on their own. It’s just that PreSonus offers something extra that happens to be of big importance. Don’t agree with us? That’s okay, there’s still plenty of choice! Dead Duck’s free Synth and Effect bundles will rock your socks off!